Today I would like to tell a little bit about a peson that is my inspiration. Inspiration in fashion, career and as a person. It's russian fashionista Miroslava Duma. Internet is full with her latest images, bloggers all over the world discuss her looks from fashion weeks, lots of girls strive to look like her. Mira is a russian journalist with worldwide reputation, former editor for Harper's Bazaar Russia, now a freelance writer for such magazines as OK!, Tatler and Glamour. She's got her own internet-project Buro 24/7 that gives the latest news on fashion, culture, music, books and events. Several years ago Mira launched a charitable foundaton called "Peace Planet" (Planeta Mira) that concentrates on culture and education. I personally adore this girls style, she looks amazing in everything! She can match clothes that I would never be brave to mix! It's hard to define Mira's style, so I divided it into several sections - coats, heels, suits, skirts and creative looks... I wish I could put all those 1 million images of Miroslava in this post, but I can't. If you want more, go on and research her style! ... and, of course, in skirts! 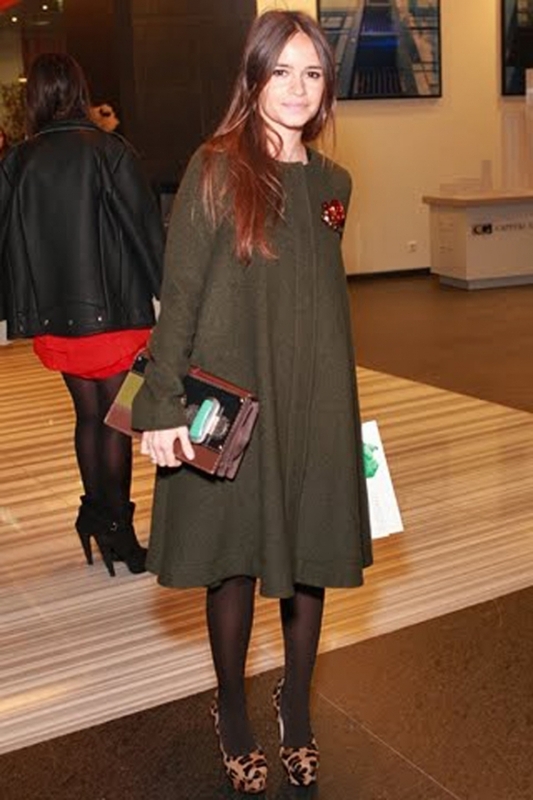 Different looks of Miroslava Duma. Nice girl, I think Russia is full of gallant girls and women and many men from abroad want to marry them. I can tell you one legal way how to get beautiful Russian bride. The easiest way is Russian dating sites, there are a hundred girls seeking for they love abroad every day. So I can advise you one website which is the best for seeking beautiful Russian brides. i discovered so mmany fascinating stuff in your blog particularly its discussion..thanks for the post!